Ensuring your guests have a great time dancing at your wedding reception takes a bit of planning and preparation, but the great memories are well worth the effort. Here are few tips to help you plan a reception with entertaining dance music for all. Decide whether you want your reception to emulate a nightclub or a family get-together. This plays an important role in choosing music for your reception. Naturally you want your music to reflect the taste of you and your new spouse. But if you want to keep the dance floor packed, don’t limit your music selection. Tastes vary and variety is your best bet. Likewise, if you know there are certain songs or genres that will discourage some of your guests from dancing be sure to ban them from your play list. When you send out your wedding invitations include a request for a favorite dance song on your reply card. This way, no matter how diverse your guests’ different tastes, you’re sure to have something for everyone. A bad song can ruin the momentum on the dance floor. Ensure this doesn’t happen with a Do Not Play list. 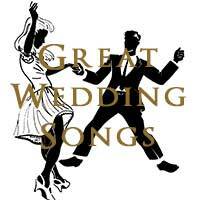 Here’s a list of the Top 20 Requested Wedding Reception Dance Songs for 2013 to get you started. It’s compiled from a survey of wedding DJs across the nation. If you’re looking for a great New Jersey DJ at a great price, call us today.